Whether you are just starting from ground zero or have already been performing Infrared Inspections in your facility, we have the experience and expertise to help you succeed. MacDonald Thermal Solutions is a company that is both family owned and operated in Prince Edward Island. 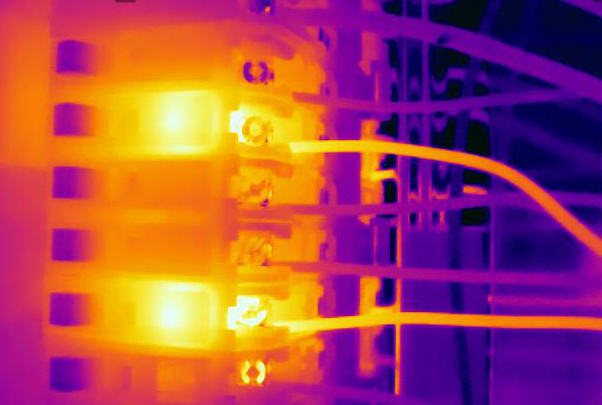 Working in the electrical industry, we focus on electrical safety and reliability through high quality electrical installations and regular Infrared Thermal Imaging. We offer Thermal Imaging packages custom suited to the individual needs of each business we serve. Our goal is to establish predictive maintenance tasks in order to save money and reduce unexpected expenses. We understand the importance of schedules and deliver the information needed to make informed decisions. Take comfort knowing that we delivery on what we promise. You're more that just a customer, you're on our team. Copyright 2019 - MacDonald Thermal Solutions Inc.